Tiny icicle bulbs are just the touch you need for your winter and holiday decorating. 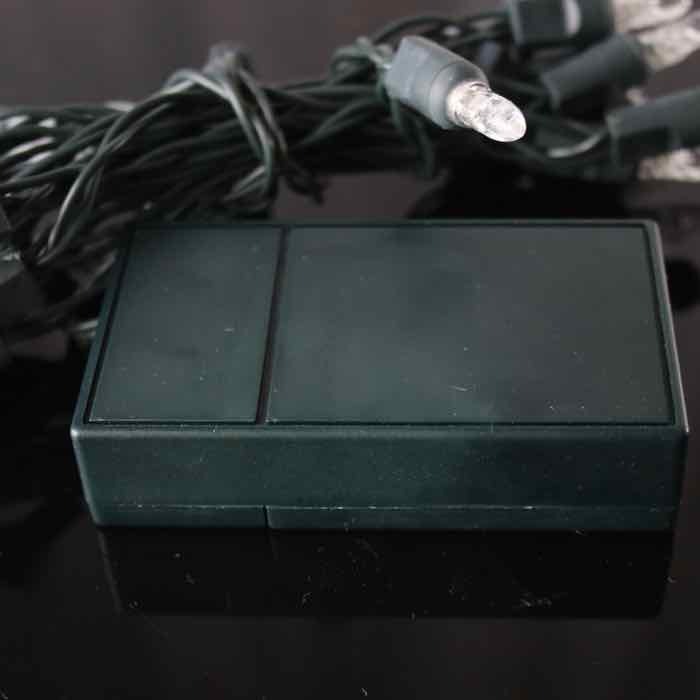 These battery operated Christmas lights are so easy to use and take minutes to set up. 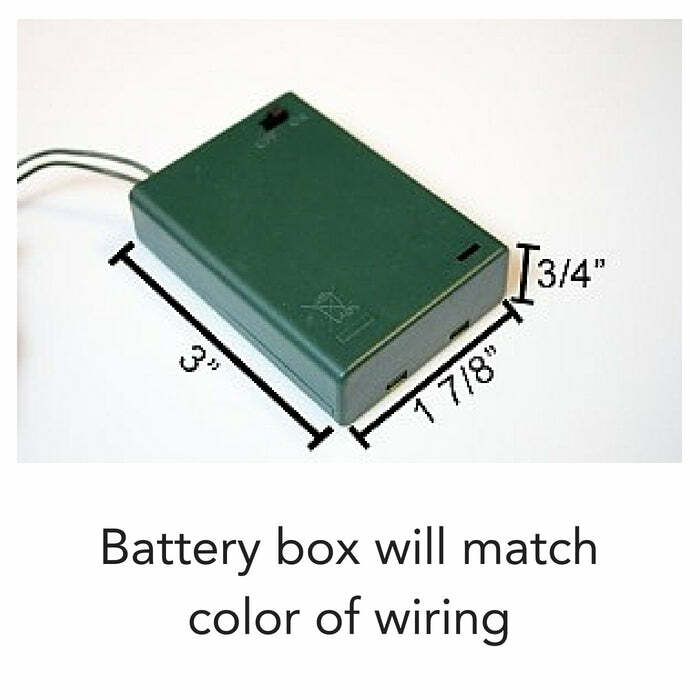 Insert 3 AA batteries (not included) in the battery pack and you are good to go! Place them in the container of your choice - glass, plastic, metal - whatever suits your style! You can weave them around any type of greenery for a lovely table centerpiece. Indoor and outdoor wreaths will be enhanced when adding a pure white set of mini-icicles. Each 20 mini-ice light string has a total of 6.6 feet of lit length and 4 inches of spacing between lights. 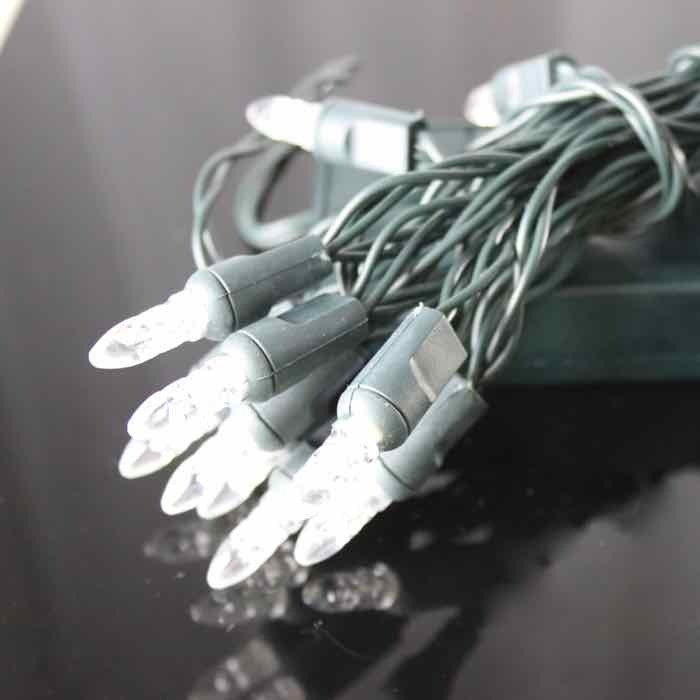 We know you will find many fun uses for these battery operated LED Christmas lights all through the year! We used these lights on a wreath hung on our front door. They were reliable and lightweight. The LEDs are bright and pure white as described. They were promptly shipped. I would definitely buy from Christmas light source again.